Camera-shy during their relationship, Arthur Hand’s wife Janette asked him to document her after she was diagnosed with cancer, initially to have a record of her body before the cancer treatment. 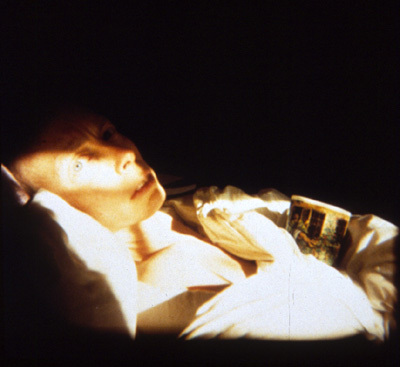 However, the project, entitled Journey Toward Healing, soon became ongoing as Hand photographed her through surgery, chemotherapy, radiation, and her life after treatment. Janette, a painter, has also documented her journey through collages and paintings that are sometimes shown in conjunction with her husband’s work. Currently the head of the Photography department at McHenry County College, Arthur Hand graduated from Indiana University with an MFA in Photography. With his wife, he has exhibited Journey Toward Healing at the International Museum of Surgical Science, the Indiana University Fine Art Gallery, Virginia Intermont College, the Dekalb Women’s Center, and the University of Wisconsin, Fox Valley.